loaded spoke to the man behind Pinhead as the British horror movie classic turns 30. Pinhead in Hellraiser Doug Bradley's iconic role. There are horror films and then there’s Hellraiser. Back in cinemas 30 years on from its release, this deliciously twisted tale serves as the perfect introduction to the work of Clive Barker – the author, writer, and filmmaker behind what remains Britain’s biggest and best horror film to date. Set largely within the confines of a creepy old London house (later relocated to an undisclosed US location for international release reasons) the film is an altogether different kind of slasher movie. When Frank (Sean Chapman) goes in search of worldly pleasures beyond the flesh he finds more than he bargained for. Unlocking an occult antique puzzle box, he summons forth a group of otherworldly sadomasochists known as the Cenobites and led by Doug Bradley’s Pinhead. They specialise is inflicting a very special kind of anguish and take Frank away to test the boundaries of pleasure and pain. Newly married Julia (Clare Higgins) and Larry (Andrew Robinson) then move in and, before you know it, Frank has found his way back to the realm of the real, albeit now as a flayed half-man monster. Julia, who was involved in a torrid affair with Frank, Larry’s brother, before her nuptials, agrees to bring male suitors to the house, so Frank can murder and feast on them, gradually regaining his humanity. As premise’s go, it’s pretty out there and, thanks to a great score and some grotesquely gruesome special effects, it’s a film that has lost none of its power in the years since. 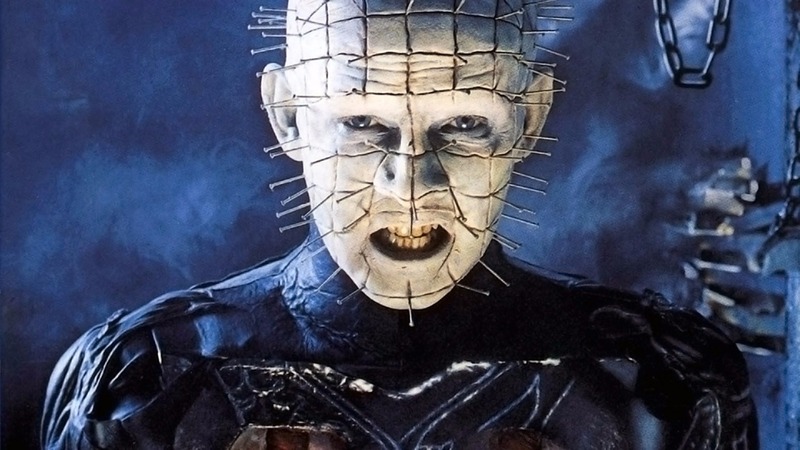 So what makes Hellraiser such a horror classic? How did Pinhead end up being Pinhead? And were there ever any big plans for a reboot, crossover or even a TV series? loaded caught up with Doug Bradley to find out. loaded: What is it that makes Hellraiser such an enduring classic? Bradley: I think for Clive [Barker] it was being in the right place at the right time. We had previously worked together for many years in the theatre and had some success at the Edinburgh festival but things never really got off the ground. Hellraiser gave Clive a chance to bring all his different artistic talents together in one project. It captured the mood of the time because Hellraiser is essentially a slasher movie, albeit with Julia tracking down victims to help Frank come back to life. Add into this the Cenobites and it was evident Hellraiser was something completely different to what was being done at the time. The Cenobites don’t belong in a contemporary slasher movie. They are very much part of a Gothic horror film and because the image of the Cenobites doesn’t date, coupled with Chris Young’s extraordinary score, the movie holds up well. loaded: Is the enduring popularity of Hellraiser part of the reason why a reboot has never happened? Bradley: They have been talking about remaking the first film for something like 12 years. As far as I’m aware, it’s unlikely to happen in the near future. Of course, as fast as they talk about a remake then immediately they start using words like reboot or reimagining, implying that it may not end up being a remake anyway. Maybe the power and success of the original film and the fact it is getting re-released is an acknowledgment that it doesn’t need a remake. How long does it take to look like Pinhead? loaded: Could Hellraiser work as a TV series? Bradley: I first had a conversation about Hellraiser the TV series with the producers of Hellraiser III. That was 26 years ago and it’s raised its head once or twice in the interim. I always thought it was a possibility. Now, more than ever, it would work with the transformation of television in the last few years. A couple of years ago, my agent was actually in negotiations to do a Hellraiser TV show. We got as far as agreeing on a deal to do the first season and then everything went silent. That’s just how it goes sometimes. loaded: How did you land the role of Pinhead? Bradley: Fans often ask me what I had to do at the audition to get the part of Pinhead. Occasionally, if I’m feeling mischievous, I tell them they left me in a room with a pile of nails and a hammer and told me to get creative. You would be astonished how many times believe me. No, Clive and I had worked for over a decade together in the theatre before Hellraiser. I knew him from high school in Liverpool. He told me in 1985 that he was trying to get together a low budget independent British horror movie and that there was a part I might be interested in. I had read the Hellbound Heart before it was published and knew the story. As far as I am aware, he always intended me to play Pinhead. I didn’t really audition; he asked me and I said yes. loaded: What is the most common question you get from fans? Bradley: How long does the makeup take. Always the first question. loaded: And how long does it take? loaded: Has there ever been any potential for Hellraiser to crossover with another horror franchise? Bradley: Yes, but the issue is always which studio owns which franchise. Freddy Vs Jason happened because New Line Cinema owns both franchises. People often ask me, if there had been a Freddy vs Jason 2, would Pinhead have been in it? But I have to remind them of the studio politics, as Dimension owns the Hellraiser franchise. Dimension also owns the Halloween franchise though and when Freddy vs Jason came out, suddenly they wanted a Hellraiser/Halloween cross-over made. As far as I am aware, based on conversations with Clive, Dimension wanted Clive to write it and he had said yes and they wanted John Carpenter to direct it and he said yes. I remember getting quite excited at the prospect of it. 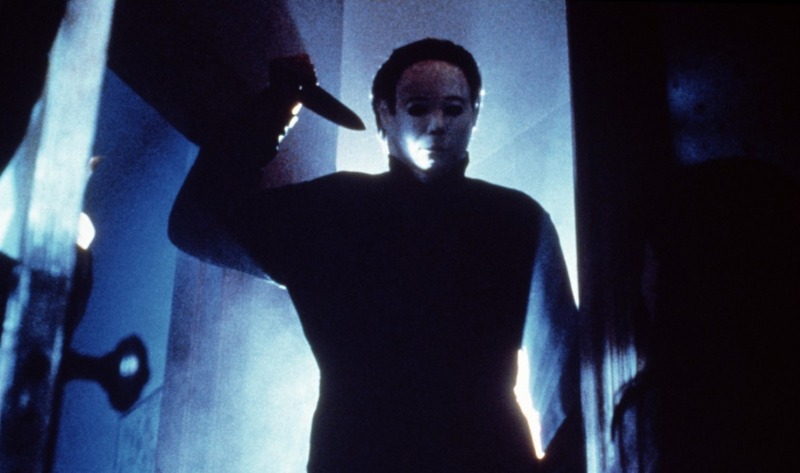 Clive said that the versus bit, the Michael Myers vs Pinhead bit was a bit beside the point – it was a bit boring given that Michael doesn’t speak, which makes him a disappointment to Pinhead. loaded: What ideas did Clive have for the film? Bradley: Clive wasn’t interested in a mano-a-mano confrontation. He was interested in finding the places where the Hellraiser and Halloween landscapes might have crossed over. The first Halloween works like a classic vampire movie with Michael as Dracula and Dr. Loomis as Van Helsing. Dr. Loomis spends a lot of the film warning people they don’t know what they are dealing with. It gave Michael this supernatural, mysterious element, that made him so powerful. There was a suggestion he was something not human and Clive felt there was a way in there. Clive saw him as a sadomasochistic sexual pervert and serial killer which would be enough to pique Pinhead’s interest. loaded: Why did it never happen? Bradley: As far as I understand it, the Accam brothers who produced the original Hellraiser film evidently retained enough control they were able to prevent the movie being made. That was enough to kill it. So the prospect went away. loaded: Which is your favourite of all the sequels? Bradley: The first movie remains my favourite but I like part three, by a narrow margin over two, which is in many ways wonderful but also deeply flawed. I had a great time making the third Hellraiser film. It was an important moment in the franchise as it made it cross over from the UK to America. The original movie was written and cast and initially set in London. It got switched to an American setting half way through. It was because the studio was getting excited about the dailies going back to them in LA. They liked it so much, they gave Clive more time and more money and said they wanted a sequel and they wanted it set in America. So there was a lot of scrambling and changes to switch it from London to this unnamed American location. Hellbound was also shot in London in Pinewood studios but very firmly taking place in America. Hellraiser III was filmed in North Carolina with reshoots in Los Angeles. It was my first experience making a film in the States and I made a lot of friends. It was a work hard, play hard, kind of movie. loaded: What else are you working on? 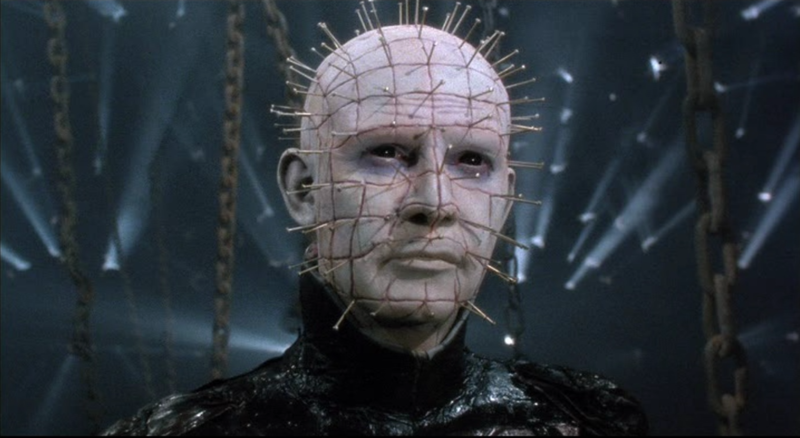 Bradley: There have been two further apologies for new Hellraiser films since I last played Pinhead in Hellworld. One hasn’t been released yet. I’ve had nothing to do with it for various reasons. I’ve been putting together the Pinhead experience for conventions though. I’ve gone back into the makeup and costume to create a walkthrough experience. I’m not someone who can just have photographs taken with fans in character. Pinhead would never do that. So I switched it around – if Pinhead can’t go into the fans’ world, bring the fans into his world. We did that at a show in Phoenix and it was hugely successful. Otherwise, I am still acting and doing audiobooks through Renegade. I do several audiobooks including Bob Bradley’s Spine chillers – the largest collection of classic horror stories ever recorded on Audible. Working with Clive again on a collection of short stories.